Aritic is an all-in-one marketing automation software platform for digital marketing team or SMBs. It helps to build relationship with leads, automate marketing campaigns and convert leads to paying customers easily. "Awesome integrated marketing automation suite for sales and marketing teams"
We migrated to Aritic PinPoint after struggling with multiple tools, plugins, CMS, and analytics tools. We were using one tool for every single aspect like analytics, social media scheduling, email marketing, email mailbox monitoring, landing pages, SMS campaigns, CRM, etc. Things were unmanagable until we found Aritic PinPoint. Migrating to Aritic platform was easy, thanks to their support team. And what a relief - we had everything intgerated on one platform now - be it lead capturing or email campaigns or campaign monitoring or doing multichannel marketing. We started off with a trial version. Seeing the positive impact on our sales numbers and on our teams, we finally moved to the paid version of Aritic PinPoint. Aritic PinPoint's core automation features are ideal for enterprises. If someone has a very small startup and very less udget, Aritic PinPoint will not work. Although they have a small plan for such customers, but mostly they are redircted to EasySendy Drip, a product of the same brand (but for small and medium businesses). 1. Scaling up with Aritic PinPoint is easy unlike other tools that become more and more costly. For 100K subscribers, it costs $1,149 whereas Hubspot costs $3,300 and Marketo costs around $3,500. 2. I loved the Double opt-in customization feature that I did not get on Hubspot. 3. Multichannel marketing is smooth. Lead profiling and predictive lead scoring are on-point. 4. Auto-resending of one-off emails to those who don't open emails - this is something that has helped in increasing our overall engagement rates." Inbound marketing needs a lot of monitoring, lead profiling, and customizing to drive a business. We initially tried several outbound practices which did not work. It was then that we realized how wrong we were to ignore organic marketing being a digital platform. Now that we know where we went wrong, we are leveraging the entire potential of Aritic PinPoint to drive more traffic to our brand and trigger more relevant conversions. We have narrowed down our funnel by creating proper buyer persona. Using dynamic segmentation, we are now doing hyper targeted multichannel marketing (SMS, push, emails, mobiles, social media, and web). With all the features in place, Aritic PinPoint is definitely help us place our building blocks properly. "Aritic PinPoint is indeed an operating system for the advanced Marketers!" Aritic PinPoint is one of a permissive Marketing Automation Tool I have used! It has a simple and smooth user interface. I loved the advanced segmentation feature that allows me to segment the leads with their behavior pattern and associate suitable trigger pointers on them (Lead Scoring). Their Social platform behavior usage in Lead scoring and Automation is not available anywhere else. The integration with Webinar system is very well that once automation campaign setup done, we are just looking on metrics of attendees. Say Yes to Aritic PinPoint, it monitors the whole buyer's journey of your business. We use to arrange the hackathon for our clients and we do marketing communication with hackathon candidates and it is a lot of manual work. We have started using Aritic PinPoint to increase productivity to manage more customers with existing resource. Aritic PinPoint integration with Go-to-meetings, Go-to-webinars/Seminars, Go-to-training's are helpful for us as we can use these attributes Automation campaign, Automation system does all the followups before heckathon and provide the all attendees communications information. Once the automation process set we were able to manage 4 customer at the place of 1.5 customer with Aritic PinPoint. One more benefits,we received from Identical lead feature that we know, who all are actually not going turned up for hackathon. "The Identical leads feature is awesome"
The Identical leads feature always report us about the lead which can get closed and we have seen the sudden jump of 40% more closure by team as they work only on the leads which can be get closed faster. I most dislike about the application about the features list, it is huge and we are not able to use the all features. Recommendations : BIG YES with an advice, Their Identical leads feature will keep your sales almost busy always and AI works so well in predicting. We have a huge sales team as due to pharmaceuticals domain with respect to marketing team.We need an application, which can increase the productivity of marketing team to match the sales team. "Onboarding and Implementation team amazed me"
The best part is their support ,service and implementation team . In to the product the best part is the application feature of On-site widget and Form action definition. I am using these two feature most to convert visitors into connections using Aritic PinPoint. The dis-like part is their application feature list, it is so huge that people like me from non-software background , taking a lot of time to understand. I am still learning from last 6 month. If looking for complete marketing automation software with platinum class service support , than go for this without any doubt. I got to know about to Aritic PinPoint during discussion with one of my article publisher and my requirement was to increase the traffic on website and engage the visitors for diet consulting. I had got my one engagement problem solved in 1st month of implementation and increasing visitors are happening slowly. "Aritic PinPoint is the key to our business"
The comprehensive feature list that encompasses marketing, sales, and support. This matched with our requirements and expectations. All's good. I think, the reports visuals can be more improved. There are various ways of viewing reports and also through various categories, but I think the representation can be more enriched in terms of visuals. We used Aritic PinPoint to assist our well-designed marketing strategy. We were then using the free version of Salesforce CRM. We had a great run until our Salesforce License got over. We moved to Aritic CRM along with Aritic PinPoint, and that has probably helped us increase our ROI far better. Ofocurse, I wont blame Salesforce here, after all we were using a free version. Anyway, Aritic PinPoint happens to be our best bet when it comes our inbound marketing strategy. Surely a recommended tool. Instead of spending lakhs behind an agency, I think it is better to invest in a comprehensive tool and have the power to monitor the same. Thank you so much Jessica for taking the time to review Aritic PinPoint. Welcome! "Quite advanced and full stack automation suite"
I have just started using Aritic PinPoint for my company. I am mainly looking into social media marketing here, and using Aritic PinPoint for that. Their social media monitoring features are really useful. I can track and monitor the entire engagement rates. Also, I have now set social media goals which makes tracking and monitoring really easy. Multiple social media platforms and one tool, I am loving it already. Nothing as of now. I am still exploring Aritic PinPoint. "Aritic PinPoint is great, but not WOW!!" The automated workflow creation, workflow builders, and dynamic segmentations are note worthy. I liked their campaign monitoring features, reports and analytics, and competitor analysis metrics. I had navigation issues with the tool. It is vast in terms of features but hard to find. Some features are so simple to use while others are hard nuts to crack. With tutorials and FAQs also I couldn't grasp. Finally had to run to the support team for help (which they did in a few minute's time). I couldn't do much since mine is a startup and this tool is best fit for enterprises and corporates. So, I did not continue after free trial. If you are not very conversant with marketing terminologies or not much updated about the industry, this tool will scare you. I think it is best for experienced marketers who know what they are doing and why. Thank you so much for the valuable comments and review Christine. "Application delivered what promised "
The way multi-channel campaign automation works and keeps updated the customers in the funnel with all the information about our services and the feature of webhook and trigger just keep all the software within the organization connected with the marketing and sales funnel. The initial version given to us was without RabbitMQ and Elastic search and once reported about application performance they migrated us to it. I hope, they have to provide the high-performance system to Enterprise from the 1st day. If looking for complete marketing automation software with platinum class service support, then go for this without any doubt. "Marketing automation and transactional email, all in one"
It caters for both marketing automation, sales CRM and transactional emails, these are really important aspect of managing a digital business. It is widely used by those that appreciate special features that it has. It is a simple application that can be mastered within a few days. It helps track visitors for proper management and sales conversion. 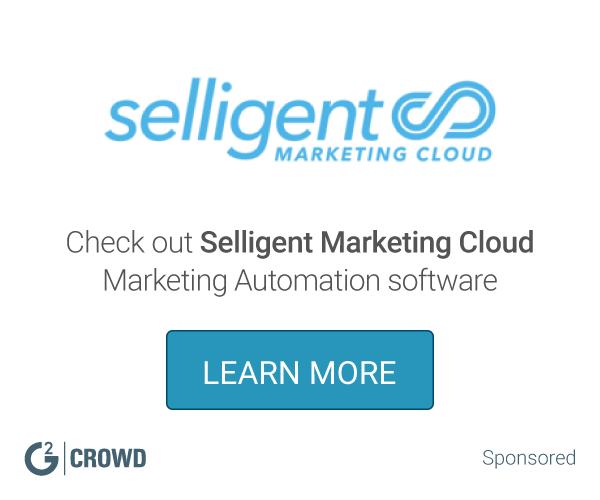 "All-inclusive marketing automation tool for effective Lead Management"
I have used much software for Marketing Automation at my workplace. When I joined a digital marketing agency, I was introduced to Aritic and since then there was no looking for a new tool. Since it offers the ease of segmenting our leads based on various criteria, the prospects are apt. The privilege of using many features under one umbrella makes it more beneficial for a digital marketing agency. One thing that I noticed is that there isn't an option to take complete advantage of SEO reports. Because of this, I am not able to analyze what is happening in my SEO analytics. Yes, Because Best tool to Generate good quality leads and find out the prospects. As I mentioned before, our team had a lot of problems with identifying a right prospect. Now we are succeeding in sending relevant leads to the sales team. Thus lessening the sales cycle and increase the sales. "Out Of Box - Integration Support"
I was involved in Banking system integration with Aritic PinPoint for one of the bank as we were the software vendor for Banking switch. The integration support and developer level support was just out of box.Their API documents and plugin module can integrate to any system as it was so easy for me connect with complex Banking system. I just want highlighted about cons as they are having multiple modules and it seems, the experts of those modules sits in different timezones. So some of the time, I have to aligned my team as per that. I had interaction during integration and their response and product quality is very high. The integration was just a cake walk. So go for their support and product quality for ease of integration. Since this implementation was for bank and we were only the integration provider for the banking switch provided by our organization and so main benefits to bank.Only one benefits belongs to us was lesser ETL related issues or queries as realtime data is available to bank. "Aritic PinPoint is really making targeted marketing advanced"
Previously we are facing issues with Lead Management and Nurturing; Now, I can convert my anonymous visitors into potential leads and eventually nurture them to convert them into customers. With Aritic PinPoint, I have explored more avenues of content marketing, of doing content marketing better. With all the ready-made templates, drag and drop editors, and high-end behavior-based segmentation- I have achieved my marketing milestones pretty soon. "Nice features and very good support"
The main purpose of this product is to automate the marketing activities and with that increase the business in a systemic manner. Also they have a very supportive team. They have supported us whenever we were stacked. There are some beautiful features this product is having which we are using the most. Like lead scoring, on-site widget, form action definition, Social drip. Their Social media automation needs to be improved. But they have said they have improved and implemented some new things in Social media, which will come in the upcoming release. We have purchased and using this product for increasing traffic, covert those traffic to leads and also to increase visibility in Social platforms. We are so happy to see that the traffic is increasing in last few months, once we started using this product. Also by using lead scoring, we are able to do segmentation of leads with ease and efficiently. "Too much details but a great tool"
The tool is great but I think you must be sure of the fetaures you need and what you want to achieve with it. We were looking at filling up our marketing funnel as well as drive in conversions. Aritic PinPoint has helped us reach our target goals faster when we genuinely strated aligning all our activities. Yes, only if you are sure about your automation goals. We got results only when we strategised our marketing campaigns properly. There rae many features in this tool, and to leverage the full potential, you will have to know what to use when. I read marketing automation tools can align marketing, sales and support team. Aritic PinPoint helped my teams do that. From creating buyers' persona to bringing in leads, nurturing them and pushing them down the funnel, triggering conversions and converting customers into advocates - Aritic PinPoint has features on-point for every stage, for every team. I wanted to align my teams and also improve the overall ROI. Aritic PinPoint has all the features that brings in a transparency between all teams. This has improved our overall productivity and are ROI as well. A win-win investment. "A robust and integrated platform"
This is a powerhouse of automation features. I can say it has the best of everything and is really smooth in terms of functionality. Starting with configuration to setting up your first campaign, tracking to improving your campaigns, and driving in conversions- Aritic PinPoint is robust and a well integrated marketing automation suite. I think adding more marketing assets or resources that can be donloaded by marketers can help. They hardly have any. Nurturing leads across all marketing stages. We are now able to activate leads from one stage to another easily and automatically. Surely a recommended tool. Rather than running behind popular names only I think it makes sense to opt for a new quality product. Feature-wise, this tool is really comprehensive. What I liked the most is their resource section- their blogs and help docs are so nicely placed. You learn majority of the automation gigs from these. I need more downloadable resources. Many platforms have their blogs converted in PDFs so that users can download. If I can have that here it will be great. Our teams and clients are getting educated which is helping us do better automation campaigns. So, thanks to Aritic PinPoint resource team for updating such useful information. Highly recommended. Thier buyer persona profiling system is rellay great. also, you can use dynamic content in your landing page which creates more engagement. I will say this tool is a game changer. Most people run towards popular names and shell out heavy amounts. But Aritic PinPoint is actually one tool that closes all the gaps left by popular names like Marketo, Hubspot or Pardot. Also, it goes easy on your pocket. Still exploring the product. Haven't found anything as of now. We wanted a budget tool and this is definitely one such. We are happy how things have turned out and the positive impact on our marketing ROI. Take a demo to see how Aritic PinPoint works. " This tool has a lot of features but still it is very user friendly. The navigation was smooth and we could create and publish automation campaigns easily. even the integrations were simple. The FAQs are well written and will help you cruise through the tool easily. They have mentioned about a feature Progressive Profiling. I read about it but somehow I did not understand where to do it in the tool. The support team sent me an FAQ but that did not really help. Our main target was to acquire and idenify qualified leads,w hich we did quite well with Aritic PinPoint. I will recommend Aritic PinPoint for the ease of use. "All set to beat all other hyped names in marketing automation industry"
I loved their support team through and through. Starting with setting up configurations to understanding the tool, their support team was one click away always. When you have such an advanced tool, if you don't get enough support it can be difficult. By far, the best support team. Phone, chat, email - they're there! Nothing much as of now. Will update if I find any. I am using Aritic PinPoint to get a 360-degree overview of my target customers. I wanted an advanced tool with high-end lead management and lead scoring features. I love how browser fingerprinting technology helps in nurturing anonymous visitors. They showed in the demo. I am yet to use it though. Design, integration, and user experience has been great till now. I am still on the free trial version of this tool. So far so good. I'd say you must first take the demo to know what you are signing up for. I am glad I subscribed to their content as well. Really useful to help you understand how to do automation, what to do, and why! Aritic PinPoint has some powerful features that fit best for an enterprise. I have used this tool in my last company and it really worked well there. We had a user base of 1,00,000 which we could handle smoothly on Aritic PinPoint. The integrations were an asset and ofcourse, their ABM feature was the best we've seen. I am working for a startup now and we are just starting off with our lead acquisitions. Initially I had opted for Aritic PinPoint only, then realized, it is best when you have a stable lead inflow. They do have a small plan for SMBs but still if your company is in a very very nascent stage, don't go for Aritic PinPoint. I had to contact their support team who suggested me to check out their other product which they have for SMBs only. Our target in my previous company was to acquire leads and nurture them with properly placed content marketing. I think Aritic PinPoint was a great investment in bring together our paid ad team, organic marketing team, and sales team to achieve our targets. "It is a very complex product. Be sure that you have time to properly understand the features. "Comprehensive tool but had issues with integration"
I will not disagree that Aritic PinPoint is a comprehensive and an integrated marketing automation solution. It is definitely making itself seen among popular players like Hubspot and Marketo [I had migrated to Aritic PinPoint from Marketo]. Features like browser fingerprint tracking, behavior-based automation campaigns, advanced contact segments, multichannel marketing, and host of integrations show the immense potential this tool has. "I am not very happy with the integrations part. I had trouble integrating my CRM as it kept on becoming 'unresponsive'. I don't know if it is my browser issue or not. However, I had to do the integration almost four times before it really got integrated. I'd appreciate if anyone tells me if it was a browser problem. I did not contact the support team though. " My aim was to get together my sales and marketing team. Also, my brand deals with corporate accounts. So, we needed to implement Account-based marketing. Rather than opting for another tool, I was happy to get it all in Aritic Pinpoint. Loved their ABM features. To-the-point and compact. I will recommend Aritic PinPoint to all B2B marketers. However, please do not expect miracles from this tool if you have zero users or leads. I think Aritic PinPoint will work best for those who have a steady influx of leads. "Campaign builder is mind blowing"
I loved the drag and drop campaign builder of Aritic PinPoint. The list of actions, conditions, and decisional triggers are really advanced, improved and to-the-point. Also, I like how it looks so nice after you have built the entire drip campaign. Multichannel drip campaigns was the primary requirement. Ofcourse, their campaign builder has helped us do that pretty well. Also, adding to this, their lead behavior tracking and dynamic segmentation helped us create more relevant marketing campaigns. Yes. Opt for a trial version or take a demo to know more the tool. "Helps in improving team productivity"
I am amazed how wrong I was to think that an automation tool cannot improve team productivity. The vast feature list and minutely designed navigation process has helped me improve my team's productivity manifold times. Our sales have gone up and I see my marketing and sales people fighting less. That's something! I think more work can be done in terms of website design and UI/UX. Our main target was to reach our targets. We needed an integrated solution that would align our sales, marketing, and support team. Aritic PinPoint has been a great investment for all of us. Highly recommended to those looking to improve their inbound marketing ROI. Thanks a lot for the review Steve. Great to hear that Aritic Product suite helped you with improving team productivity. "A Platform For Any Digital Marketing Team which Is Result Oriented"
We personally like their advanced segmentation. Once an automation campaign is designed, you just have to monitor the reports. We needed multi channel communication system to engage customers through right channel of individual preferences. We should thank their onboarding and support team for their constant support in using the system as per our specific needs. There is nothing as such we do not like about Aritic PinPoint. They can improve on existing reporting and focus more on in-depth options, listening to the customer needs. Big problem that we were facing was to manage targeted communication based on derived metrics. With personalised messaging as target and their advanced segmentation, now we can target our customers/leads with precise communication using their preferred channel. Once automated and measured, we only have to monitor the reports and plan future activities. They have provided us custom integration with our ERP. "A host of integrations to make things easier"
The integrations has helped us do multichannel marketing better. We host webinars, schedule demos and meetings, do social media marketing across prominent social platforms, launch sms campaigns, and also mobile marketing - all simultaneously. Everything is made easy with this tool. Nothing as such. Still exploring the product. We were looking for an integrated platform through which we could also host webinars and all. Aritic PinPoint's integration plugins helped us. Check out the integrations. Also make sure to configure properly before using the features. "It is more like clubbing Hubspot, Marketo, Pardot, and all the other automation tools together into "
After trying many automation tools, I have realized that all tools will have something, and miss out on other things. It depends on business to business to decide which tool suits them the most. In my opinion, I find Aritic PinPoint to be an amalgamation of all the popular marketing automation tools- where the best of everything has been put together. It lags a lot. Atleast it did for me. Why I am still sticking to it? It is fairly easier to scale up with Aritic PinPoint than other tools. Like all other tools, Aritic PinPoint also performs best against an inbound marketing strategy. "Well designed tool for online marketing team"
The way multi-channel campaign automation works and keep updated the customers in funnel with all the information about our services. have been using app for last 2 years; now has improved a lot on performance. Feel free to connect with Ariitic team for any issue resolution. Liked the native crm integration with Zoho crm; it is helping sales team a lot with all relevant sales qualified leads. * We monitor all Aritic reviews to prevent fraudulent reviews and keep review quality high. We do not post reviews by company employees or direct competitors. Validated reviews require the user to submit a screenshot of the product containing their user ID, in order to verify a user is an actual user of the product. Hi there! Are you looking to implement a solution like Aritic?